We buy junk cars in Houston every day. If you need to sell your car fast you can get paid in 24-48 hours! Find out how much your car is worth below. It’s enough to make you go as batty as the Waugh Drive Bridge at dusk when you're having car issues. If you want to forget the headache and just sell your junk car fast, you can consider DamagedCars.com. You usually don’t get any warning before car issues occur, whether you’re headed home from a night out with the missus or driving down to the beach in Galveston. Your engine might make more smoke than a space shuttle launch or it might grind to a halt on the Interstate. If you have car issues that make you say, “Houston, we have a problem”, it’s time to get rid of it. Forget the hassle of selling your car on your own, and car repairs can be more expensive than your car is worth. And programs offering cash for cars in Houston don’t pay nearly enough. Click on the button below and enter your car information. You will get instant car value quote on most of the cars. Damaged Cars has more than 10 years of experience buying cars for cash. We’ll pay you cash for cars in Houston, TX, taking your old, unwanted, smashed, and rusting cars off your hands. Call us today to get sell us your less-than-perfect car. We buy cars nearly anywhere you are in the country. Where can I sell a junk car in Houston, Texas? You have the typical options for selling salvage and junk cars. Unlike the others, we specialize in buying ‘less-than-perfect’ cars. Regardless of the car you are trying to sell – leaking or not running, junk cars, totaled or salvage cars, or otherwise. Damaged Cars is an excellent option when you want to sell a junk car in Houston TX. How can I get a quote from junk car buyers in Houston? Fill out this simple form online to request a guaranteed offer for your car. It’s easy, fast and free! Provide as much accurate information as possible, and we’ll give you a quote from Damaged Cars to buy your car. Our quote is guaranteed for seven days. We ask only for the information we actually need. Once you send in the required information, we’ll give you a guaranteed quote for your car in ‘as-is’ condition. If everything looks good to you, just accept our offer. We’ll confirm the details with you and send a truck to pick up your car. Here’s the best part. 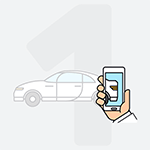 We’ll pay you to get rid of that unwanted car in a smooth and seamless way. 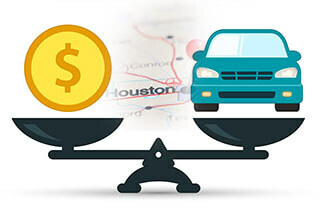 For what cars do you offer Cash for Cars in Houston? We offer top cash value for cars of any kind including junk cars, totaled cars, scrap or junk cars, damaged cars and broken cars. Whether it’s running or not, we pick your car from your home or office. There are no fees to use Damaged Cars’ service, making it even easier. Looking for a Local Junk Yard in Houston? 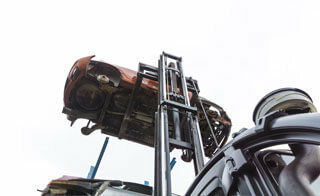 There are junk yards in Houston and salvage yards all over the Houston metro area. If you’ve ever searched online for ‘scrap yard near me’, Damaged Cars will save you time. Instead of dragging your junk car to a junk yard for a few bucks, let us help you get more money for your broken down, leaking, or otherwise ‘less-than-perfect’ car. A Houston scrap yard may charge you to tow away your car, or pay you a pennies on the dollar for your car. Damaged Cars will do better. When you want to sell your car for cash, we’re the best there is. Why should I sell my car in Houston to DamagedCars.com? Once you’ve sent us the required information including proof of ownership, we’ll pay you in 24-48 hours. Our nationwide network of local partners serves you with the highest offers for your car. Our process is quick and its easy! 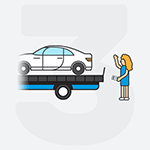 We’ll tow way your car for free within our Houston towing zones. You can turn your unused car into cash in hand. As a respected and proven company, we care about our reputation and our valued clients. We’re available to walk you through every step of the process. Every offer we make is based on the individual situation. 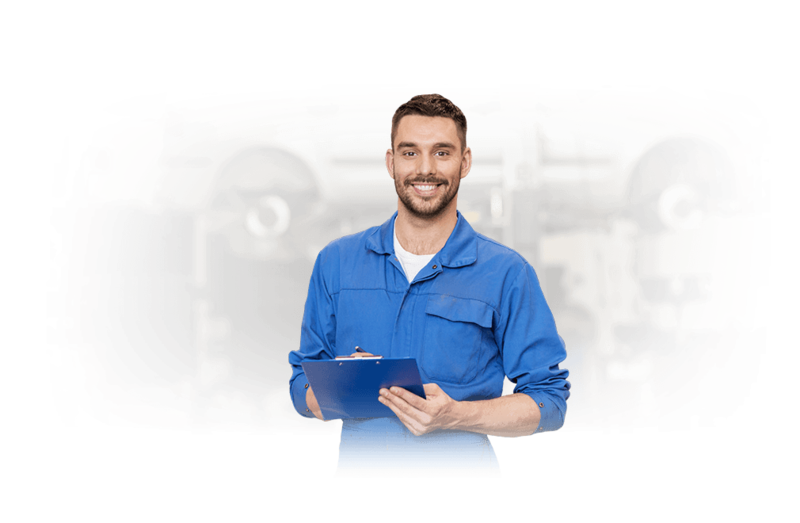 Primarily, the vehicle condition, the year, make, and model, the mileage, and other particulars you provide factor into our quote. What things should I avoid in dealing with local junk yards in Houston? Don’t pay the tow truck driver to drag away your car. A good salvage yard pays the tow truck driver directly so you don’t have to. Never sign over the title before getting paid for your car. Don’t accept a price lower than you agreed to. A common tactic for scrap yards is to settle on a price, then renegotiate when towing away your car. If they try that, back out of the transaction. How is DamagedCars.com different from other cash for junk car buyers? DamagedCars.com offers a better cash-for-cars experience. Our proprietary Damaged Cars tool uses current, local market pricing. We use your car’s condition based on mileage, year, make and model, trim level, and photos when necessary. 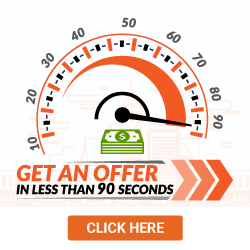 All of this information helps DamagedCars.com offer you the best guaranteed offer possible. Unlike many other cash for cars programs, Damaged Cars won’t attempt to take your car until we’ve paid you. Until you get your check, your car stays with you. We want to keep our great reputation and customer satisfaction, which is why we provide a simple, convenient, and secure service for our clients. Is it a good idea to Sell Car Parts for Cash in Houston? Don’t do it! Not only is it inconvenient, it’s not secure. When you sell car parts for cash in Houston, you’re left with an immobile car. You need to coordinate with buyers to pick up the parts they want, and haggle on pricing. You’ll never part out the whole car on your own, so you’ll still have a shell to deal with at the end. Broken cars are a hazard in your driveway with sharp rusty edges in many cases. And there’s always a change you can get ripped off by a buyer when you try to sell car parts for cash. Selling junk cars for cash in Houston is an easier alternative. What areas do you buy junk cars in Houston? 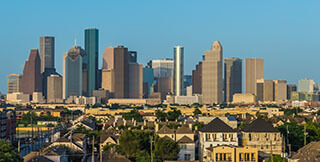 We buy cars from most neighborhoods in and around Houston. We serve Hedwig Village, Oak Forest, Kashmere Gardens, Lawndale, South Park, Golfcrest - pretty much anywhere you are in Houston, TX. We specialize in damaged cars of all types including salvage cars and totaled cars. Regardless how much or how little damage there is, we will work with you to buy your totaled car in Houston. Simply fill out the form for a guaranteed offer today!